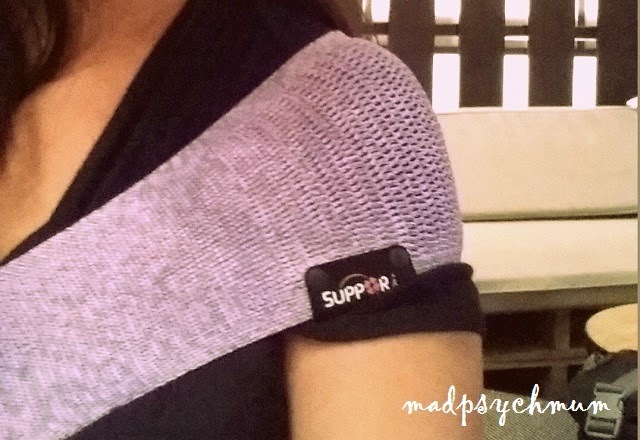 When I was first introduced to the Suppori Baby Sling, I was amazed at how small it was. "Are you sure this little thing can support a full grown baby?" I thought. Hence, I was really excited to try it out and couldn't wait for my boy to be old enough (the baby must be strong enough to sit up on their own for short periods of time in order for you to use this sling). There are a few sizes of the sling and I was given L because, well, these hips don't lie (plus I'm slightly taller). It takes some practice to learn how to get your baby in and position him right, especially if you are doing it for the first time. Took me a day to figure out how to carry my baby correctly but after many tries, it was really easy to use. I love how the sling is handy for going out for a short breakfast or shopping trip as it is easy to put him in and take him out as compared to full carriers like the SidePlus All Mesh. 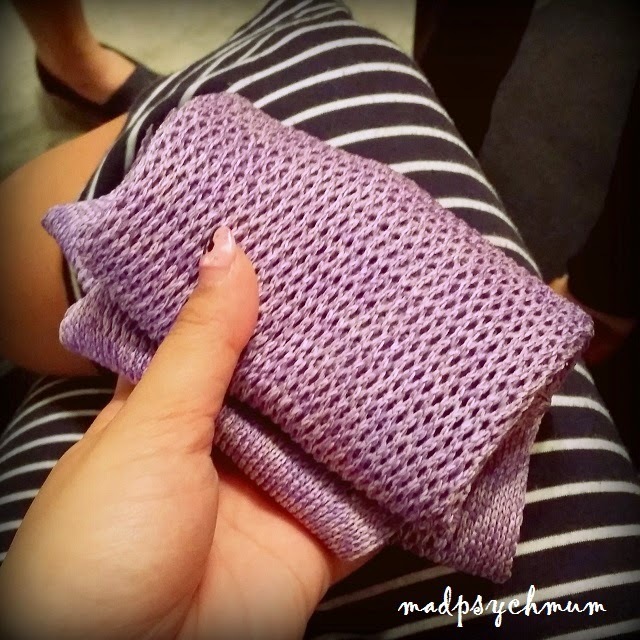 It is also lighter, more compact and fits nicely into your diaper bag or stroller bag. The sling clings to the edge of your shoulders where the bones are rather than near the neck so as to give you more support and prevent neck and shoulder aches. You'll of course still need the full carrier if you're going to be carrying your baby for longer periods of time, especially if your baby needs to sleep along the way. Your baby might not be too comfortable sleeping in a sling. 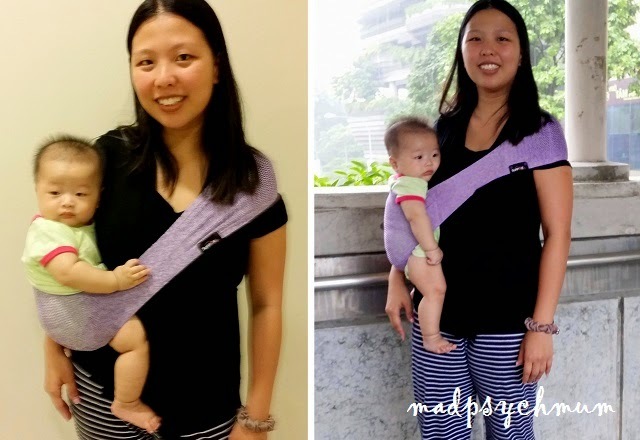 If you're keen to try one, we are giving away a Suppori Sling to ONE lucky reader! (3) Enter all THREE of the above entries into the Rafflecopter widget below (don't forget to do this as we'll be using the widget to pick the winner!). 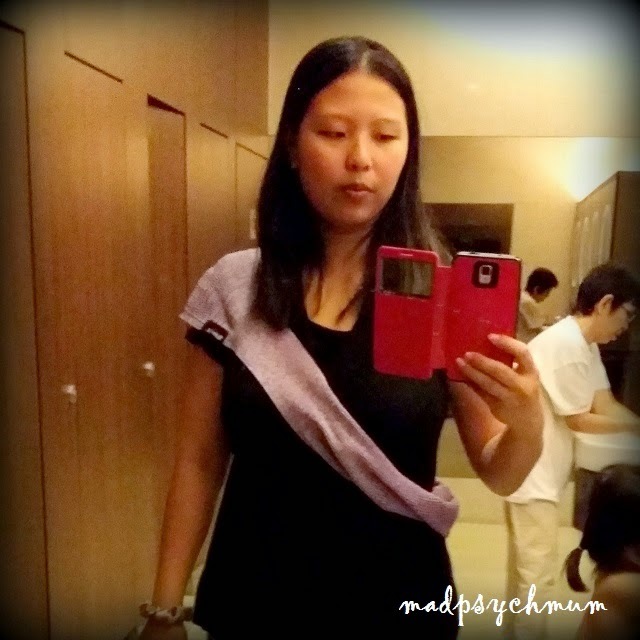 a) This giveaway ends on 9th July 2014 (Wed) and is only open to readers living in Singapore. b) Participants must complete all three entries and enter them into Rafflecopter in order to qualify (i.e. if you said that you've commented, make sure that you do. I do check). Incomplete entries will be disqualified. 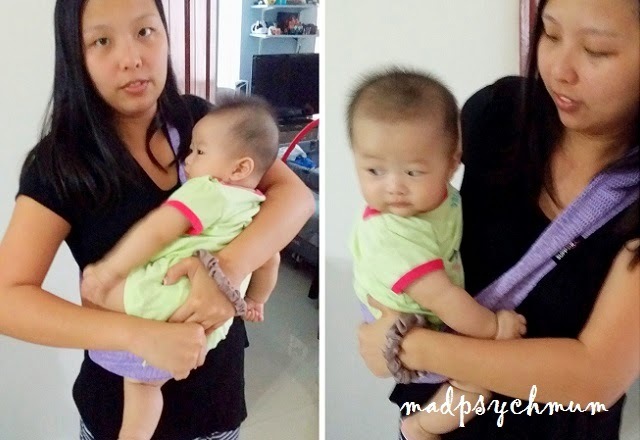 Disclosure: Complimentary Suppori Baby Sling was received from MummyToon for the purposes of this review and giveaway. No monetary compensation was received; all opinions are my own.